www.nwahba.com or contact the office to see sample adds or for more information. If you are not sure of the laws surrounding the above mentioned items please contact the appropriate Government Agency. Receive a Featured Member Listing on our Online Membership Directory by adding the image below with a link to nwahba.com on your website. To be considered for the Builder or Associate Spotlight you must be an active member in events, committees or on the Board of Directors. Please email Brenda atbrenda@nwabuilders.com for more information. Dustin Hughes is this months Associate Spotlight. 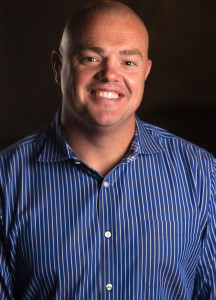 Dustin is Kimbel Mechanical’s Chief Operations Officer. As a member of the Home Builders Association Dustin feels it is important to be a part of the HBA for several reasons. 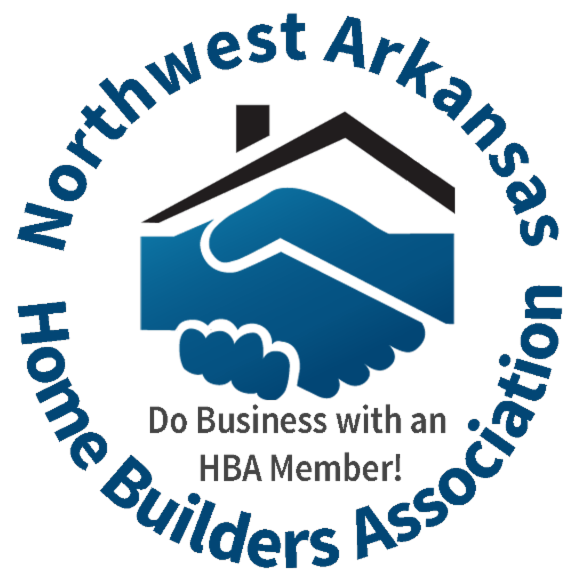 First, with the exciting growth that NWA is experiencing, it is crucial for the home building community (Builders and Subcontractors) to build valuable, trusting relationships and get the chance to come together as one collective voice. By uniting, we are able to put teamwork to use so we can achieve success on a more consistent level for all those involved, including the homeowner! Second, with home building always evolving it provides a chance to stay up-to-date with critical information on things that could be happening in various areas. This includes local and state level changes or new products that could add value to our industry. 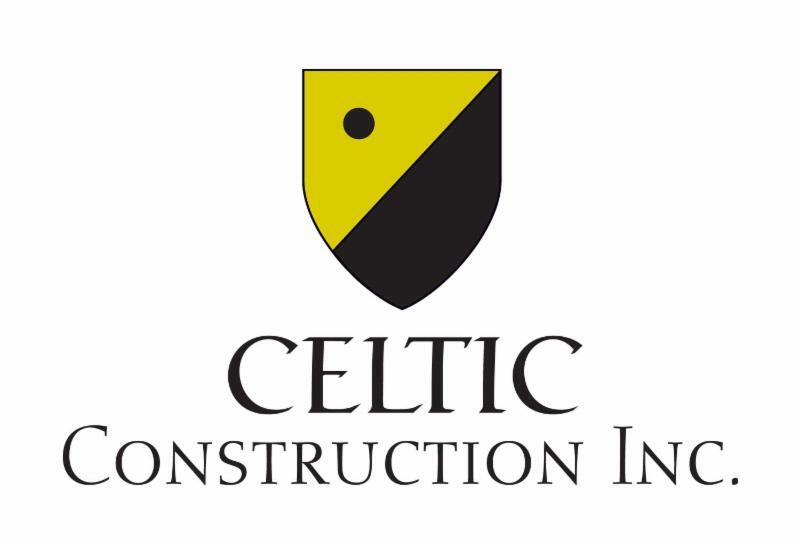 Conner Custom Homes is a family-owned and operated business specializing in residential construction throughout Northwest Arkansas since 2001. Quality and attention to detail are the cornerstones for every CCH house. 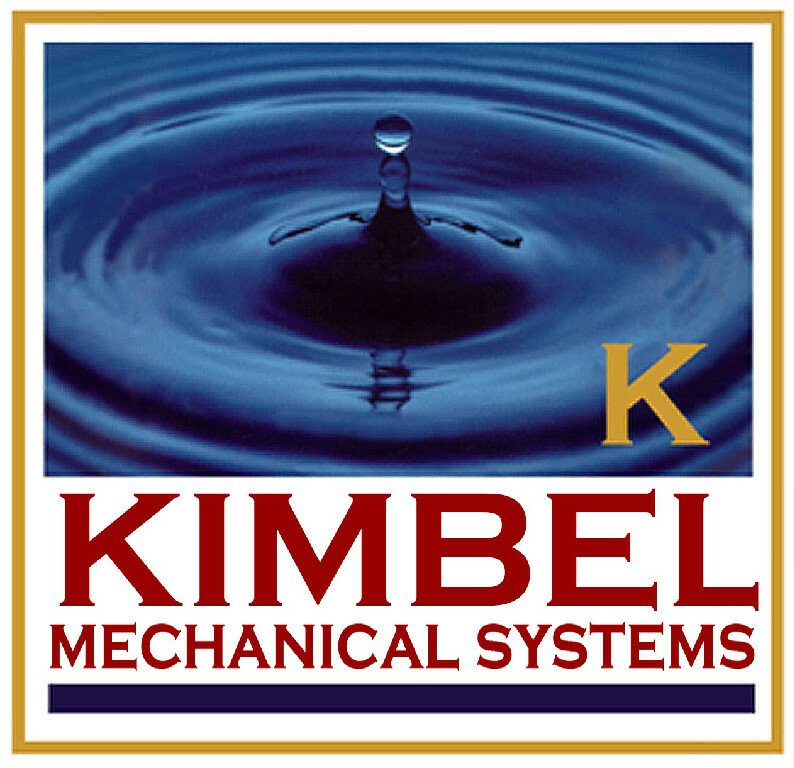 Both Jim and Thomas are Certified Graduate Builders (CGB) and Certified Green Professionals (CGP). Quality construction is only part of the picture, though. Both believe that the service you give customers after the sale is every bit as important; and CCH is known for their service. 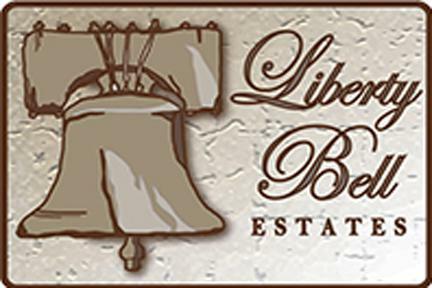 Jim was selected as Building Arkansas magazine’s Arkansas Builder of the Year in 2007 and both he and Thomas have been active within the Northwest Arkansas HBA. Jim has served as president, committee chairperson and on the board for several years. Thomas has been a board member multiple years. 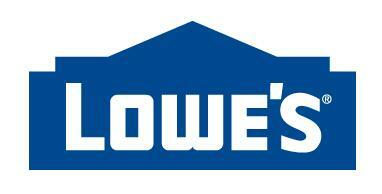 Both are believers in the value of the HBA to builders. 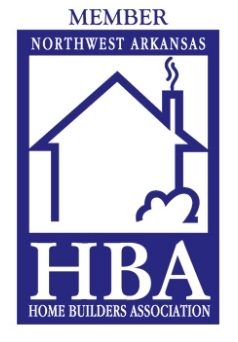 The HBA serves as a voice for the industry and when more builders participate, that voice is stronger. Conner Custom Homes has participated and been an award winner in the Northwest Arkansas Parade of Homes since 2007. 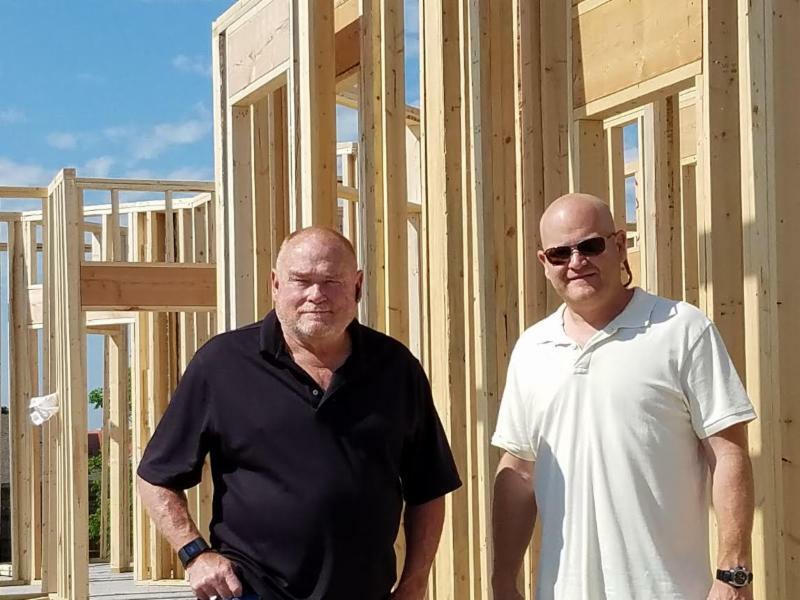 Conner Custom Homes also believes in giving back to the community and has been active in many activies including the CASA Project Playhouse, Rebuilding Together and remodeling the Red Cross building. Conner Custom Homes has been a part of the landscape in Northwest Arkansas for many years and hopes to be for many years to come. 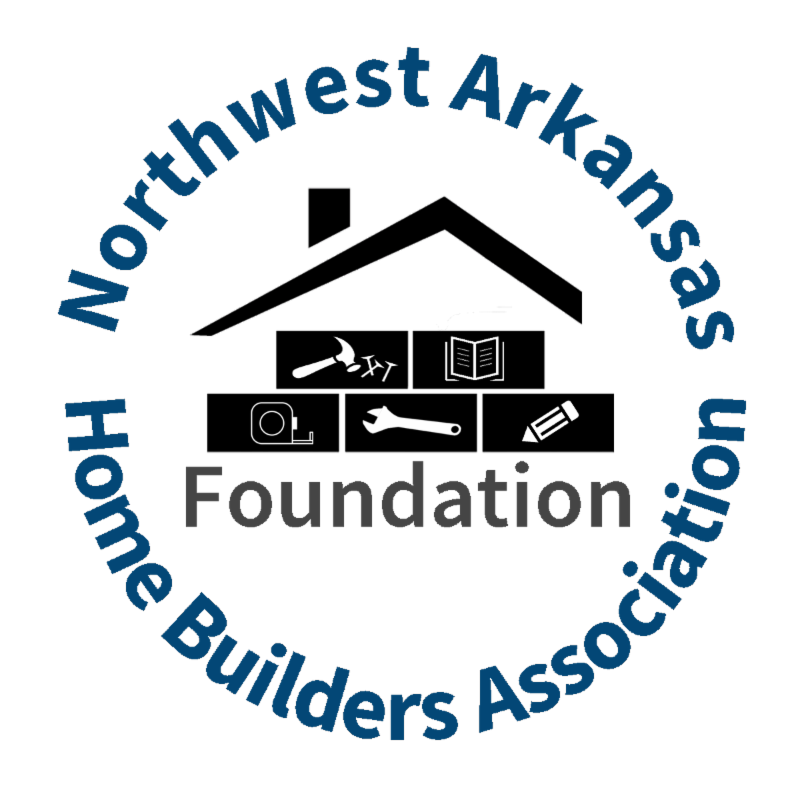 The Northwest Arkansas Home Builders Association Foundation is in full swing! May 3 we had our first Annual Trap Shoot and it was a huge success. If you would like to know more about the Foundation or how you can get involved please contact the HBA office. 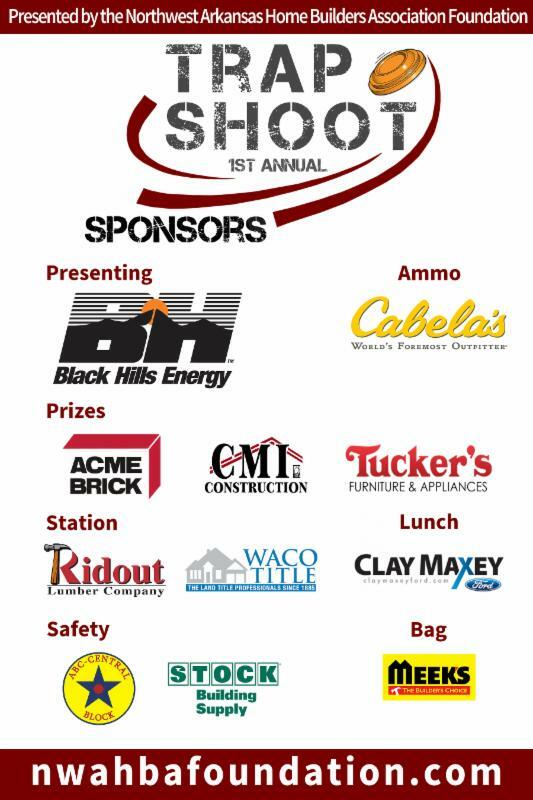 The Northwest Arkansas Home Builders Association Foundation Trap Shoot was May 3, 2016. 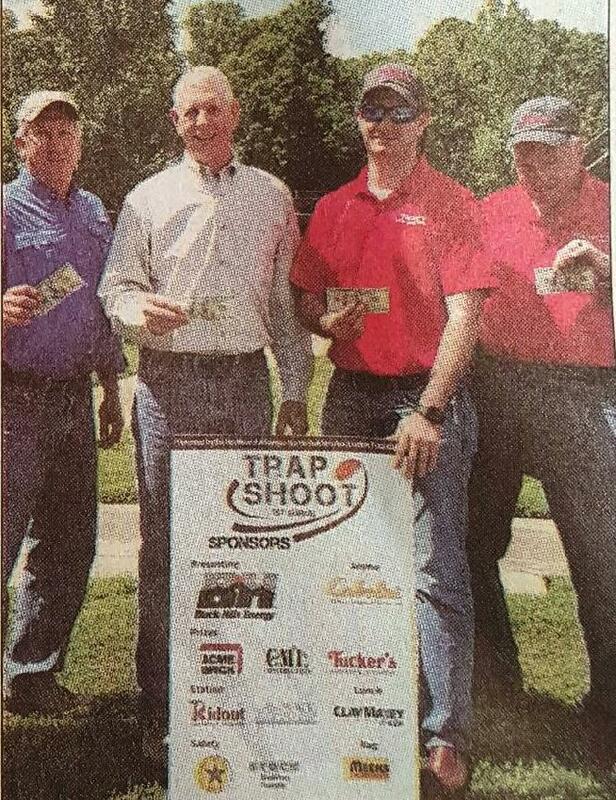 The Trap Shoot was to help raise funds to help promote construction trade education in local area high schools. We raised over $3,600 which will fund 20 scholarships for Bentonville High School and their construction classes. We had over 40 shooters participate in the event. Thank you to all those who participated and sponsored the event! A new NAHB study shows that, on average, government regulations account for 24.3% of the final price of a new single-family home. Three-fifths of the regulatory costs – 14.6% of the final house price – is due to a higher price for a finished lot resulting from regulations imposed during the lot’s development. The other two-fifths – 9.7% of the house price – is the result of costs incurred by the builder after purchasing the finished lot. NAHB’s previous 2011 estimates were fairly similar, showing that regulation on average accounted for a quarter of a home’s price. However, the price of new homes has gone up quite a bit since then. 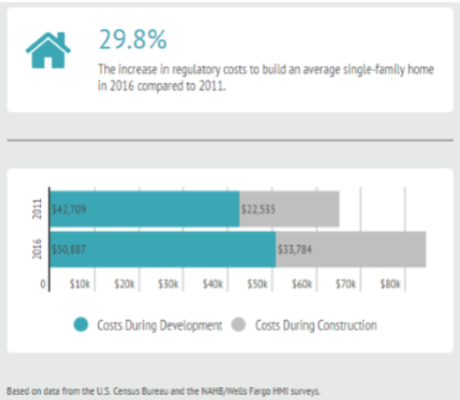 Applying percentages from NAHB’s studies to Census data on new home prices during this five-year span shows that regulatory costs for an average single-family home went from $65,224 to $84,671 – a 29.8% increase. By comparison, disposable income per capita increased by 14.4% from 2011-2016. In other words, the cost of regulation in the price of a new home is rising more than twice as fast as the average American’s ability to pay for it. View the Eye on Housing blog post. For more information, contact Paul Emrath at 800-368-5242 x8449. the 32-state range of the endangered northern long-eared bat. The decision, published in the Federal Register today, brings an end to the latest chapter of the fight to save the bat, which has been decimated by reasons having nothing to do with land development and everything to do with the spread of a disease called white-nose syndrome in their typical nesting and breeding grounds. 1-855-292-8849 to speak with a licensed health insurance counselor. 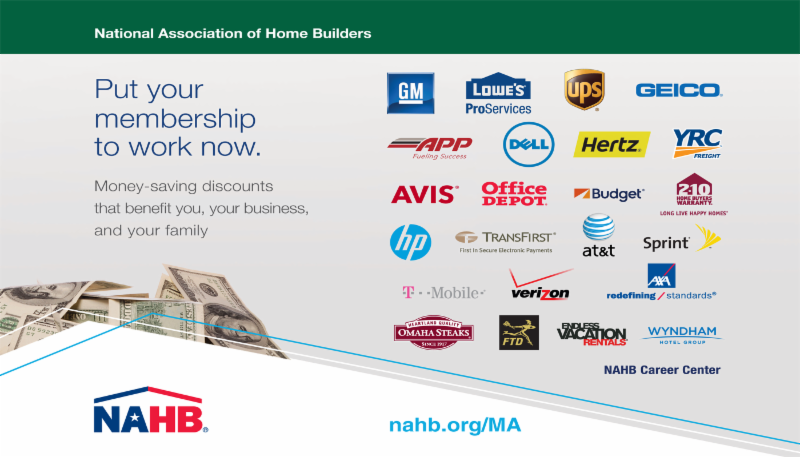 As a member of your local home builders association you also benefit from NAHB resources. We help each member make the most of their dues investment and connect with the products and services they value most.